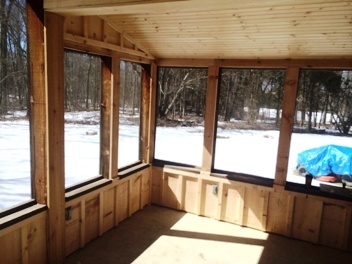 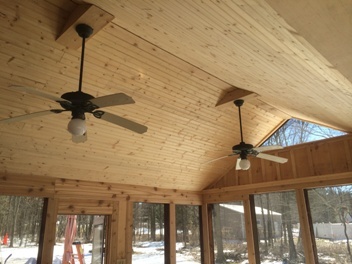 XL Home Improvements was hired to start the conversion of an exterior screened in porch to an indoor living space in the future. 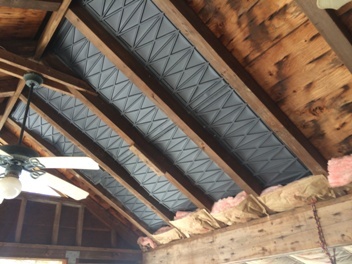 The job consisted of Installing baffles to the underside of the roof deck to allow for airflow to the ridge vent from the soffit area. 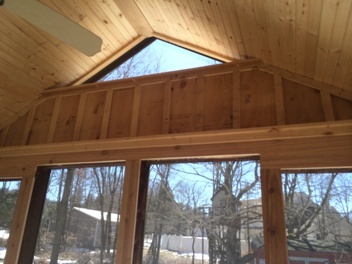 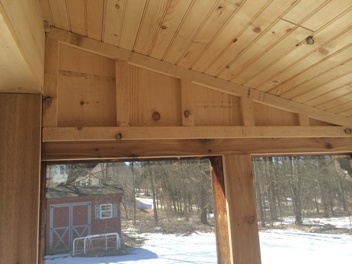 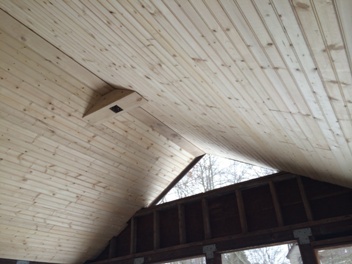 A pine tongue and groove ceiling was installed through out. 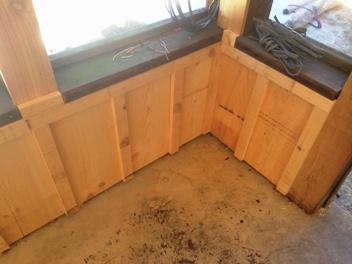 Rough cut cedar was installed to trim out the windows and headers. 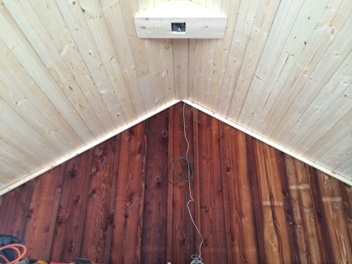 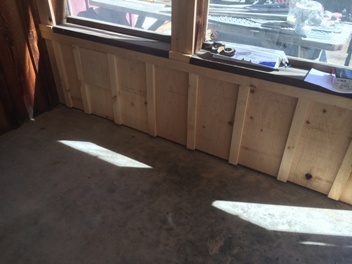 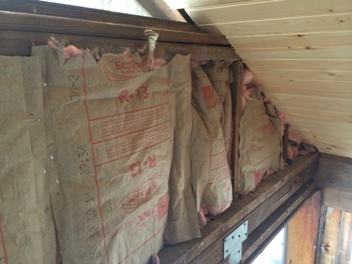 Rough cut pine boards were installed to the walls with batten strips. 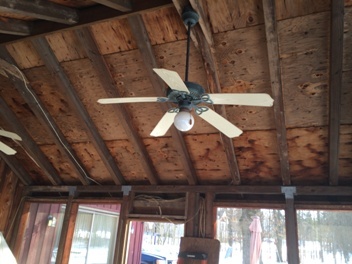 Ceiling fans were cleaned and re-installed. 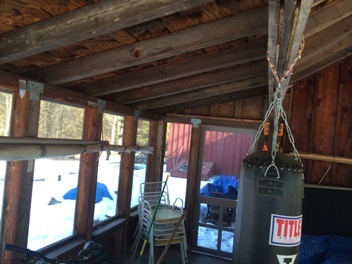 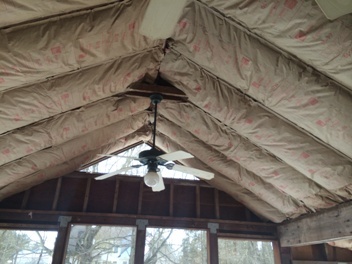 This entry was posted in INTERIOR RENOVATIONS on March 15, 2015 by Rut327. 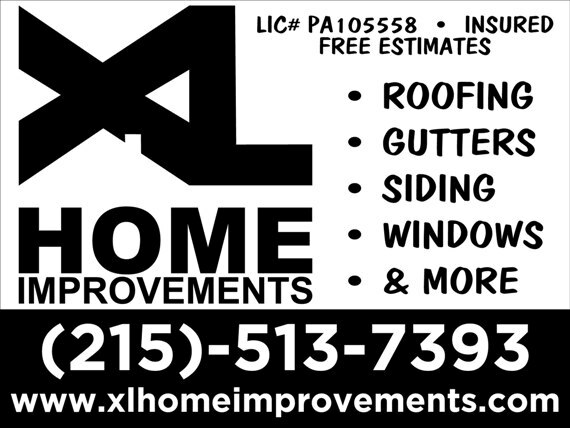 GUTTER REPAIR & SQUIRREL PROBLEM! 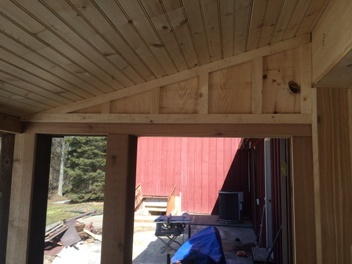 SERVICE POSTINGS Select Category ALUMINUM CAPPING EMERGENCY SERVICE GUTTERS ICE DAMS INTERIOR RENOVATIONS ROOF REPAIR ROOF REPLACEMENT SIDING SKYLIGHTS SLATE REPAIR STUFF TO CHECK OUT!